“In Indian, Yeshe’ means ‘wise one,’ and that was my mother’s nickname,” says Monique Je' Muhammad, owner of The Yeshe' Salon at Sola Salons Preston Park Village in Plano, Texas. Monique’s wise about all things hair, and she isn’t afraid to admit it. When she was ready to open her second salon, Monique needed a name that really stood for something; she also wanted to honor the woman who had helped her distinguish herself as a stylist and business owner. After she graduated, Monique took a job teaching at a local high school; nights, she attended beauty school and, once she had that degree, did hair on the side. In 2001, Monique quit her day job to pursue hair full-time. The next few years ushered in some surprising developments. Monique was managing a salon when she found out she was pregnant. In 2002, Monique’s daughter was born, and, a year later, Monique ventured out on her own, opening a 1,000-square-foot salon, and renting space in her brick-and-mortar to other stylists and barbers, too. Traditional salon ownership, Monique quickly learned, wasn’t all it was cracked up to be: “When you have an open concept salon, there’s a lot of headache,” she admits. After Monique and her mom got healthy, Monique sold her Chicago-based salon. “I’d always envisioned things greater than my neighborhood,” she says. The entrepreneur set out for Plano in the summer of 2008 looking for a fresh start. She was working as a stylist at Beauty Brands when she learned her mother’s colon cancer was back. Monique quit her job, helped her mother relocate to Plano and cared for her until she passed away in 2009. Life is short, and Monique knew she wanted to open another salon —she also knew that she didn’t want to manage renters or employees this time around. 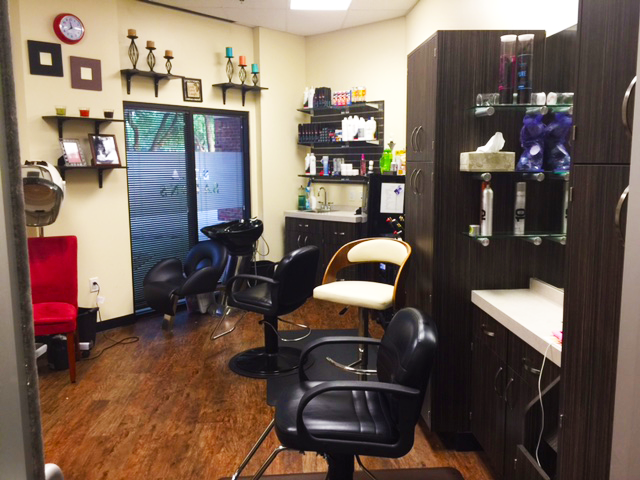 Back then, there was only one Sola Salon Studios location in Plano, and it was full. “When I first saw [the Sola] studio concept, I thought it was the most ingenious thing that could ever be thought of,” Monique says. When another Sola went up in Plano, Monique scooped up a double studio in July of 2014, and opened her second salon — this time, the easy way. 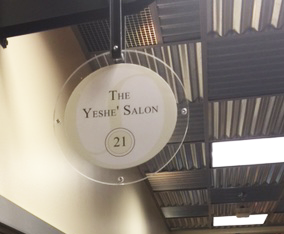 Monique’s up on the latest trends, but it’s integrity that allows The Yeshe' Salon to thrive. “People are always going to want beautiful, healthy hair,” she says. Monique’s specialty, then, is hair care. She does cuts, custom color and precision weaving and extension services — all with the core value of maintaining a healthy head of growing hair. As somebody who lost all of her hair as a cancer patient, Monique knows, firsthand, the importance of strong hair. “It’s imperative – even when you’re wearing extensions or color or wigs – to have a healthy scalp, which results in a healthy head of hair,” says Monique. She cares so much about her clients’ hair that she developed her own Healthy Hair Growth Sew-In, designed to give clients their desired sew-in and style while simultaneously growing a healthy mane from the root up. “I don’t use any net or caps because that covers the scalp during the eight to ten weeks the sew-in is installed,” Monique says, harping on the importance of being able to clean the scalp in order to maintain the hair underneath. Monique’s braiding technique avoids tension, which is hard on the hair and, along with some sew-ins, can cause bruising and bald spots. “It’s time consuming if you do it right,” Monique says. She can’t turn around nearly as many clients as other stylists; but the clients Monique has are loyal, and they’re happy with the result. Chalk it up to her inherited wise, but that’s enough for Monique. Monique recently celebrated her twelfth year cancer-free, and she also founded a nonprofit called Code Pink Productions, a multifaceted organization that builds a better community by developing the potential for at-risk girls and women through an array of services.